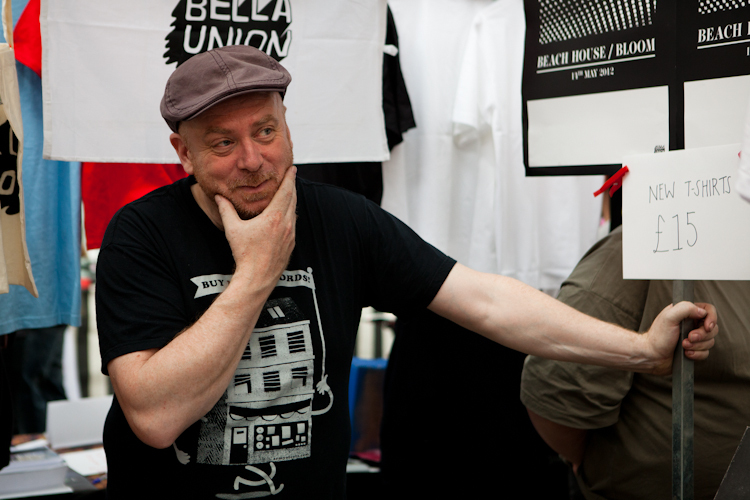 If you’ve never heard his name before, Simon Raymonde is a very successful indie label owner who used to be in the 80s/90s band The Cocteau Twins (releasing 8 albums). DemoBox: Hi Simon! A lot of people wonder about how to approach promoting themselves and submitting demos to labels. Could you give them any useful tips? Simon: Yes! Don’t send a ‘generic’ email and send it to 1000 record labels. It will be deleted (well at least by me it will!). Remember not to send MP3’s in an email either. Use SoundCloud or similar. People don’t have time to download attachments so make sure they can stream it from somewhere. Make sure you don’t mention loads of other bands that you sound like! Write something interesting that sin’t just hyperbole about how great you are. We will be the judge of that! Having a Bandcamp page is almost as important as having a Myspace page used to be years ago. The alternative is to make a career out of doing the reverse! As the art of discovering things is almost lost to us, sometimes it’s fun to hear a band but not be able to find out anything about them… Maybe that’s just me though! Final tip, be humble but smart in all your communications. DemoBox: What makes your ears prick up when you’re listening to masses of new music? Simon: I suppose a band who aren’t doing the same thing everyone else is, but who clearly have passion and talent. Those two things are far more important in the beginning than execution. I like to hear something (I think) I have never heard before. DemoBox: Does a band/artists image matter? Should they worry about the clothes they wear or is it ALL about the music? Simon: That’s a good question. You’ll get different answers from different labels of course. Maybe not the clothes but some sense of how you want to come across I think is important, artwork, live presentation, video-wise. The strongest selling artists usually have the strongest sense of what they want to portray. Personally, I’m not too bothered about it, but most are. DemoBox: In your 30+ years in the music business, what is the best thing about being involved with it and the worst? Simon: The best – working with amazing people and helping their music be heard and helping them grow as musicians and human beings. The worst? The fact nobody buys music any more! DemoBox: Finally, is there any advice you could give people reading this about their musical careers and aspirations? Simon: Like your parents would say, if you were adamant you wanted to be a professional footballer, make sure you have a backup plan if it doesn’t work out.